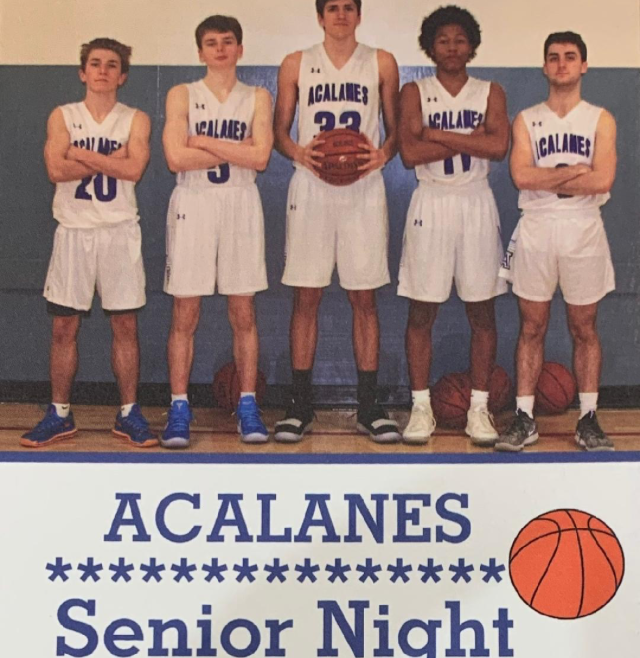 The Acalanes Dons pulled off the upset of the year on Wednesday night in defeating the visiting College Park Falcons 85-76. The Falcons entered the game with a record of 20-4 overall and 8-2 in league and are led by Zyon Pullin, the likely MVP of the Diablo Athletic League. The first half was competitive, with the Falcons up 32-30 at intermission. The Dons then exploded for 56 points in the second half to shock the Falcons. Sophomore guard Jackson Aris-Dumas scored 10 points in the third quarter and led the Dons with 20 points. Senior guard Ian Archer scored 9 of his 15 points in the fourth quarter. Junior forward Aidan Bodner scored all of his 15 points in the second half, including a traditional 3 point play where he was fouled making a layup in the fourth quarter. The other dagger in the fourth quarter came from sophomore guard Scott Ruegg, who drained a 3-pointer to bring the house down. Many of Bodner’s points came on strong finishes after Aris-Dumas, Archer, Ruegg and fellow guard senior Jack Wickline had broken down College Park’s full court pressure. Senior center Jackson Kirke was a perfect 4-4 from the free throw line in the 4th quarter and for the game had 13 rebounds and four blocked shots (including one of Pullin’s shots). The 85 points were the most scored by the Dons this year. The Dons’ balanced scoring attack featured 5 players in double figures: Aris-Dumas (20), Archer and Bodner (15), Ruegg (13), and Kirke (10). Playing unselfish basketball, the team had 29 assists, including 12 from Archer. The Dons host Las Lomas for Senior Night on Friday, with the festivities starting at approximately 6:15. Seniors Jack Wickline, Ian Archer, Jackson Kirke, Clark King, and Ben Lauer will be honored.